I hope that everyone is enjoying a joyous, relaxing, and happy holiday season full of loved ones and good cheer! The unfortunate nature of this time of year is, that in our desire to make the holidays so perfectly happy and full of good cheer, we often tend to let negative emotions overtake the positive as we stress about things like dinner preparations, the timing of dessert, cleaning and maintaining order in the house, entertaining guests, finding the perfect gifts, wrapping the perfect gifts, so on and so forth. When we step back and look at the lists of things causing us stress, most of them are fairly minor in the grand scheme of things (excepting, of course, financial constraints and concerns in the current economic reality …) But things like perfectly arranged dinner tables and beautifully tied ribbons are ridiculous time and energy drains when we really should be focused on loved ones and – pardon my possible venture into the realm of hokeyness here – the spirit of giving: giving joy, happiness, comfort, and love to others. This is a busy week for all, with Hanukkah, Christmas, and New Years all packed into it, which means that there is a seemingly endless onslaught of things that could be possible sources of stress for all you dedicated bakers and culinarians out there … and that’s where this recipe comes in. 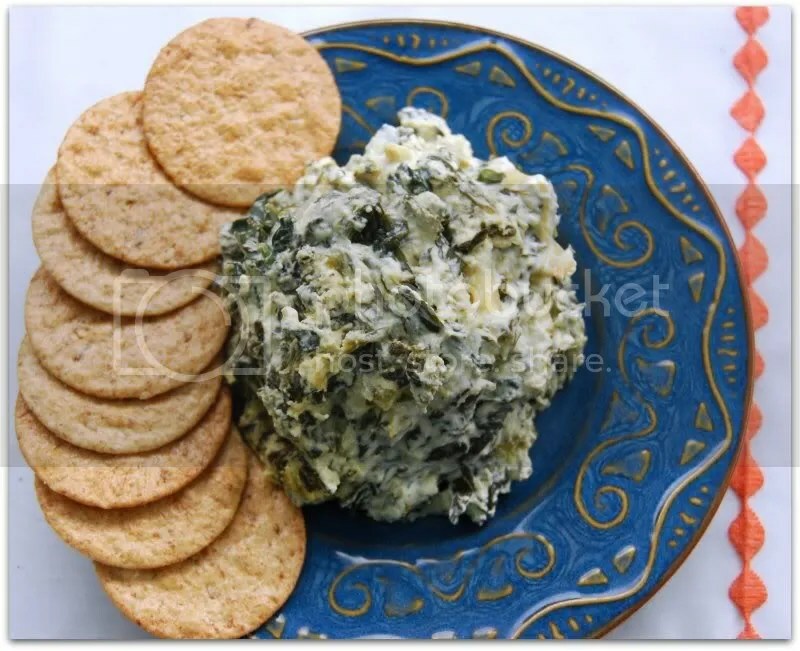 This recipe for baked spinach artichoke dip is truly a no-brainer. It’s ridiculously easy to prepare and it is so good. It is also almost universally recognized and loved, so people will gravitate towards it as soon as you place it out … and they will continue to heap mounds of it into their eager mouths because, as I’ve already pointed out, it is so darn good. It also passes the all important omni-dish makeover test: I served this one up on Christmas and had to explain myself to one befuddled party-goer who thought I was bamboozing them all with my vegan shtick. 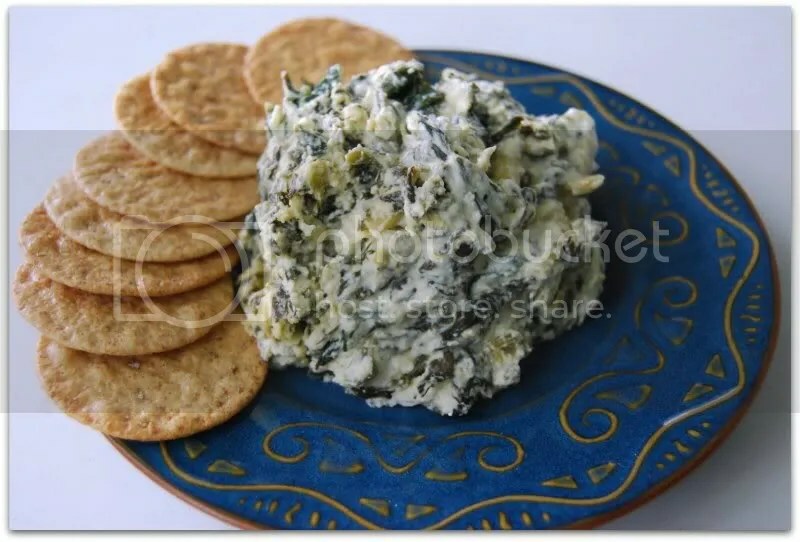 I usually serve this dip with big hunks of soft bread and crackers, but I have also served this with veggies and in a hollowed out sourdough loaf. No matter how you serve it up, be sure to stand back when you set it out because it will be instantly pounced upon – you may be surprised by the power that a thick, creamy, spread served with carbs holds over a crowd. Squeeze all excess liquid from spinach, set aside. Place all the sour cream, cream cheese, nutritional yeast, garlic, chili garlic sauce, lemon juice, salt and pepper into a large mixing bowl and , using a large spoon or spatula, mix well. Stir in the spinach and artichokes. Lightly spray an 8×8” baking dish with cooking oil and pour in the mixture. Bake until lightly browned on top and bubbly, 20-25 minutes. Allow to cool slightly before serving. This dip looks fantastic! 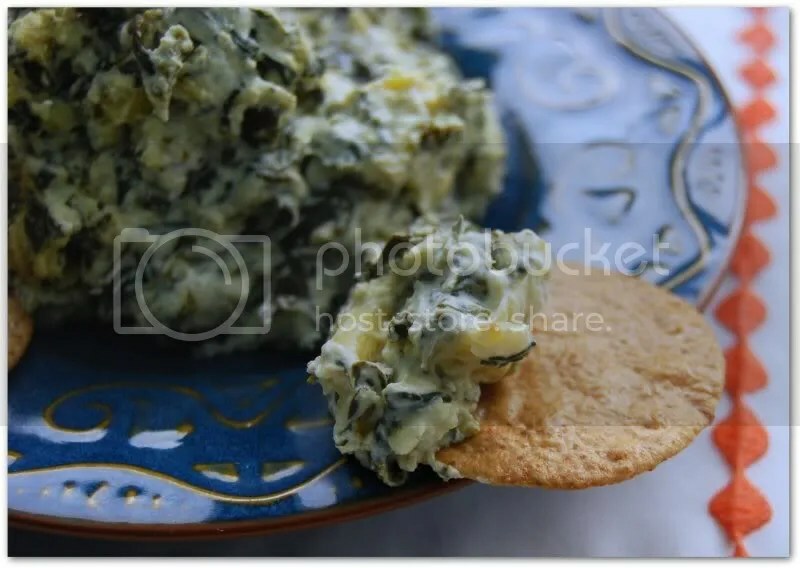 I used to love spinach artichoke dip back in my pre-vegan days and have not seen a dairy free version until now. Thank you so much for posting this. I feel like I’ve been reunited with an old friend! This dip looks really amazing! 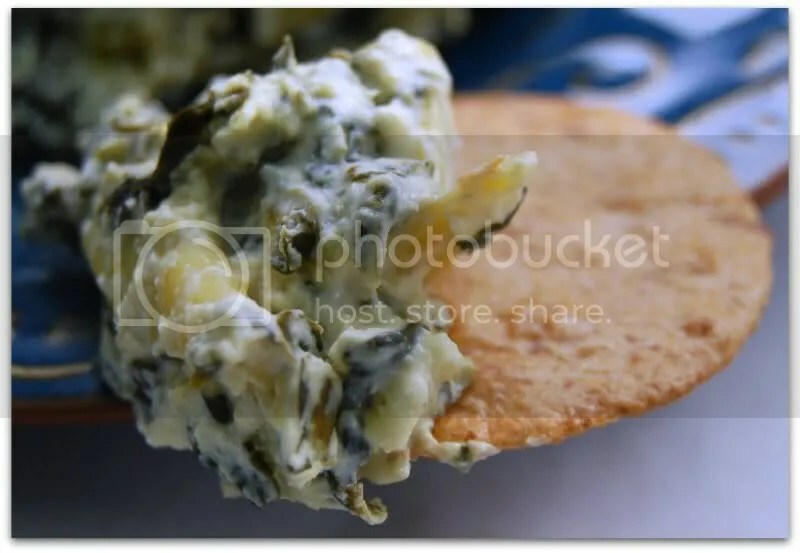 I love a spinach and artichoke combination – and this dip even looks pretty too!